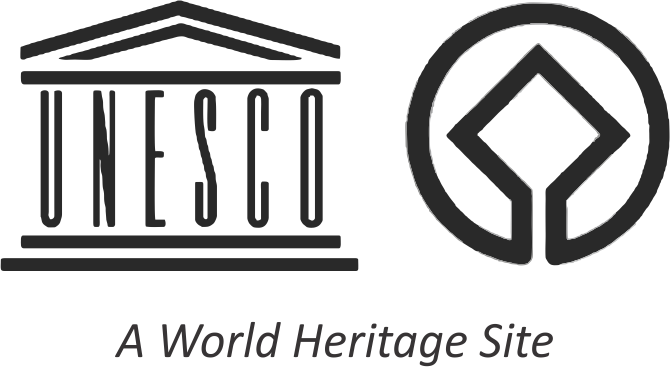 The Ecozone (or Ecodevelopment Zone or buffer zone) is an area adjacent to the Park, which contains villages that have historically had some economic dependence on the resources of the land incorporated into the Park. The formal designation of the Park boundaries and the resulting loss of these resources has economically impacted these villages (under the India Wildlife Protection Act 1972, any biotic pressure in a National Park is prohibited). In recognition of this adverse economic impact, various programmes have, and are being, developed by the state government of Himachal Pradesh, NGO’s (non-government organizations), and the villagers themselves to create alternative sources of economic well-being. Only western side of the Park has habitation (about 140 villages under 12 Panchayats). The northern, southern and eastern sides of GHNP are naturally protected because of very high peaks and ridges. 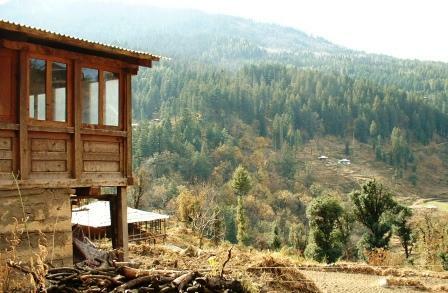 The western side of the Great Himalayan National Park is inhabited and villagers have traditionally been using the Park resources. In the long run these pressures need to be mitigated and contained so that the Wildlife/ biodiversity within the GHNPCA can flourish. This can be effectively done through a well-identified Ecozone. The GHNP ecozone has 90% of her area under forests which can be sustainably used for alternate livelihood generation. The superlative beauty of ecozone forests is a great attraction for the trekkers. 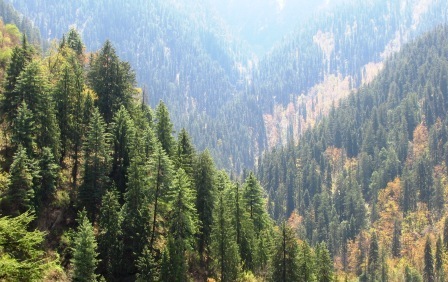 (Ecozone forests above Kharoncha village in Tirthan valley). Many species of wild animals spill over from the GHNPCA into the adjoining forest from time to time. The people in these western part of GHNPCA have not only to be sensitive, but also need to be organized and trained to cope, live and develop in co-existence with wildlife concerns. Conversely, many livelihood needs of people like grazing areas, firewood, fodder and grass that compel people to enter PAs can be efficiently and expeditiously met within the ecozone. The ecozone can be suitable to develop high value income generation activities like NTFPs and Eco-Tourism, both of which can provide several livelihood options to the local people while helping to conserve the habitat. It is a very positive point that the ecozone at GHNP has been established under the administrative control of the Wildlife Wing. The Ecozone and Kullu region offer excellent opportunities for bird watching, wildlife viewing, religious pilgrimages, cultural tours, and viewing local crafts and craft creation. There are options of rafting, climbing, fishing, attending a village festival, viewing local architecture, and sacred groves. The Park itself has two facilities for tourists: a tourist center at Sai Ropa and an Information Center at Larjee. Kullu Dushera (in October) has a great attraction to the tourists. September-October are the best month to visit the Park. A village deity in Tirthan Valley. The Ecozone options provide a combination of natural and cultural experiences. The trails go through villages and are generally easy to moderate. The best time to visit is during the Dushera Festival (usually in October). This is a major Hindu cultural and religious event celebrating the victory of good over evil in the Ramayana. 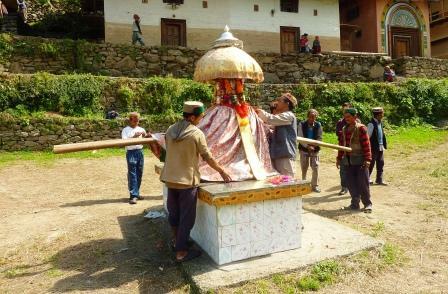 Hundreds of local village deities are brought to Kullu from the surrounding villages. An exciting display of people, music, costumes, special exhibitions, foods, etc., fills the mountain roads and towns. 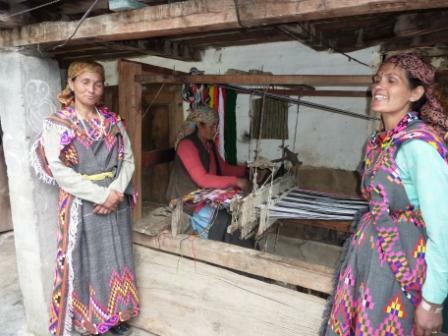 These offer an opportunity to interact with villagers and observe their daily activities, including weaving, basket-making, cooking, and farming. 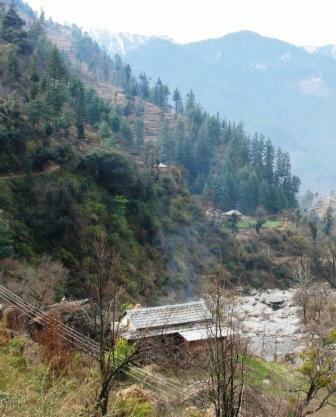 Traditional looms are usually placed outside a village home as is seen here in Tirthan Valley. 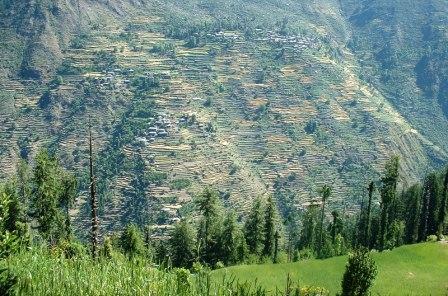 Ecozone villages present a very serene view (Two villages in the Sainj Valley). 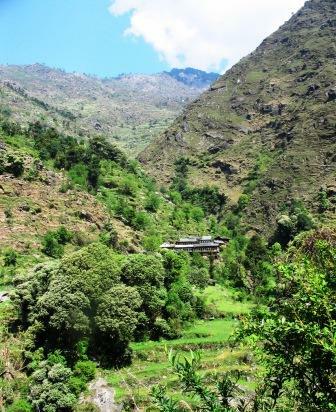 An ecozone village in Tirthan Valley. Ancient old terracing interspersed with villages in Sainj Valley of GHNP ecozone. These combine trekking in the Ecozone countryside and through villages. They offer a glimpse into the general habitat of the Park but have easier trails and often include sleeping in rest houses rather than tents. 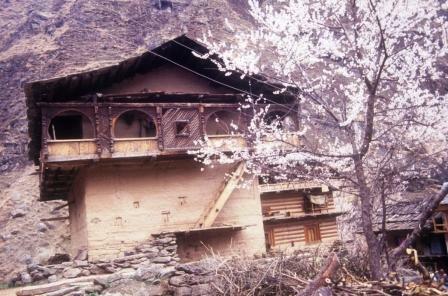 Shangarh with a Forest Rest House is a prominent destination on trekker’s list. 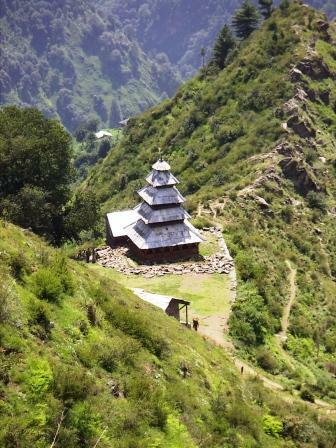 It has a beautiful trek to Lapah village with a Forest Inspection Hut at the base of Dhel Meadow side of GHNP. 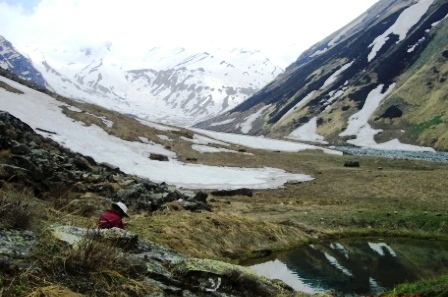 A three day trek traversing mountain trails and the villages of Shangarh and Lapah. Includes a visit to a GHNP nursery where medicinal plants and tree are cultivated. Opportunities for interactions with students, farmers, and women weavers. Hiking through traditional villages and architecture, beautiful vistas, meadows, sacred groves, and terraced fields. Moderate elevation gain. 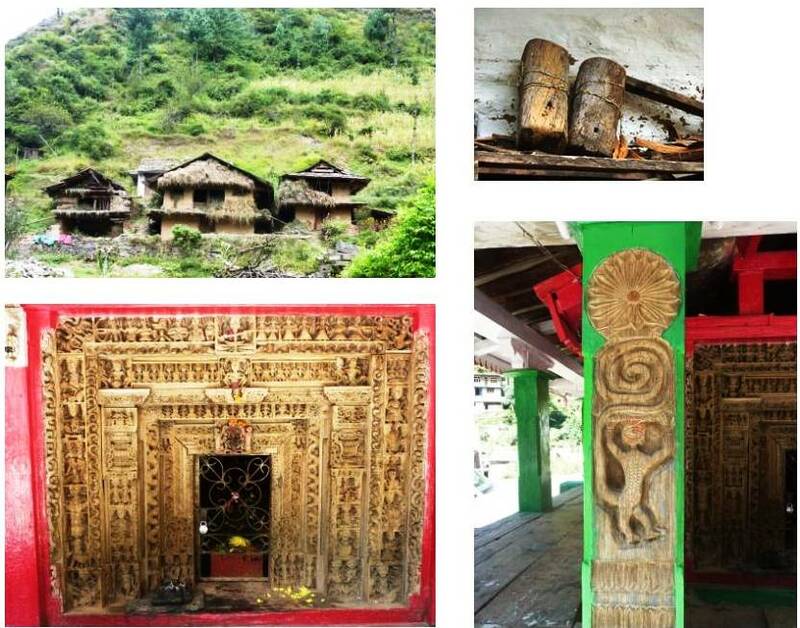 One- to two-day trek visiting a 200 year old Hindu temple with intricate wood carving. Opportunity to listen to Hindu prayers (puja) if a local pujari (priest) is available. Moderate to steep elevation to the temple. Distance: 12 km. (round trip). An additional side trip of 4 km takes you to a tower-like monument at Talyara village, built about 250 years ago. Manu temple of Sainj valley is a very popular place with a pagoda style temple indicating influence of Buddhism in the area. 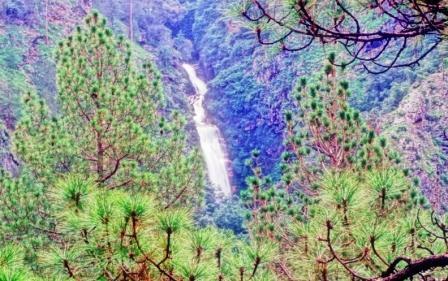 One or two days trek from Gushaini to Tinder village which offers an insight into the village life, its cultural aspects and a walk through forests up to Kharongcha. 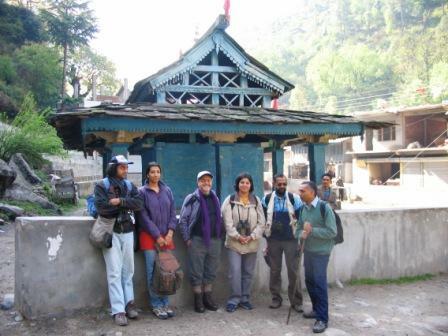 Gushaini temple is the starting point for many treks into the Tirthan Valley. One- or two-days treks in Sainj River valley which includes steep climb to the ancient villages of Saran and Pashi with very old houses and distinct local architecture. Ghat Seri has a 6 hectare (appox. 12 acres) sacred grove and is an example of local biological diversity conserved in the forest area. An imposing waterfall en route to Shrikot, Nahi and Pashi in Tirthan Valley ecozone. Community Training and Tourist Centre, Sai Ropa is the main hub of activity in GHNP. Sai Ropa is an Ecozone Community Center 5 km from Banjar and 5 km before the Gushaini entrance to the Park. Nestled in the pine forest, the Tourist Center spreads over 3 ha area. 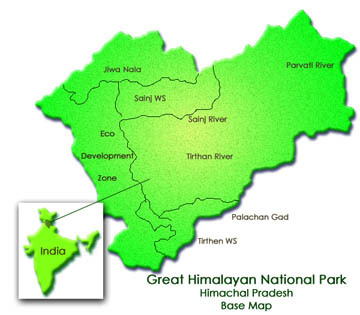 It is also the headquarters of Tirthan Wildlife Range Office (a GNHP staff facility) at which entrance tickets to the Park can be obtained. The Center has a Forest Rest House, a building housing four dormitories (40 beds in all), a photo exhibition, a conference/training room with projection facilities, and a hall with photo exhibitions about the Park. Outside, there is a 520 m long “Biodiversity Trail” that has trees and medicinal plant species transplanted from the Park; a pergola (gazebo) with a Tirthan River view; a demonstration site for vermicomposting; a butterfly enclosure, and a solar energy demonstration site. Larji Information Center located outside the Park and near the confluence of Sainj and Tirthan rivers caters to the tourists coming to GHNP from the direction of Kullu and Mandi towns. It has a hall with a training and projection facility for tourists, school children, and the village community. It is well located for orientation about the Park from Neuli or Gushaini. A small hall has Park educational displays. Park brochures, posters and entry tickets to the Park can be obtained here. The headquarters of Jiwanal Range Officer is also located here. In the open area of the Center, there is a pergola (gazebo), and information displays. Made with local material and wood, the village houses in GHNP ecozone are in harmony with their surroundings. The villages and temples display hill architecture which relates to its surroundings. The majority of the buildings in the Ecozone of GHNP are made of wood, stone, and mud in the traditional hill style and blend in well with the environment.They typically have expansive upstairs verandahs with arched facades and slate roofs. Many also have intricate external carvings. This is one of the few places left in the region where the majority of buildings are made in the traditional style. The GHNP region has a distinct cultural mystique. 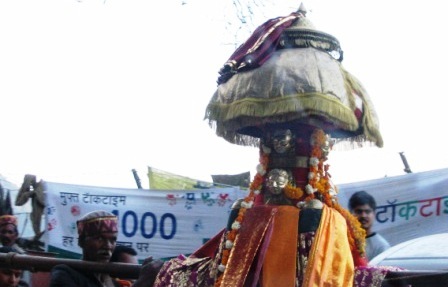 The remote villages still have Devta or deity institutions which local people respect. The Ecozone villages of Lapah and Ghat Seri have sacred tree groves. Almost every village has a temple and community ground. Some of the old temples are of great architectural interest to the tourist. These include: the Pagoda style temple of Manu Rishi; Thakur’s tower in Shenshar valley; the temples of Gushaini and Galiard with their wooden carvings in Tirthan valley. However, modern television culture and market forces are now visible in the villages and are affecting the ancient institutions of Devta and village councils. Srikhand Mahadev 5227m alt is the high peak in the southern part of GHNP. It is revered as Lord Shiva by the locals who undertake strenuous journeys on auspicious days in August-September. Raktisar 4500m alt is visited by the village deity in September. A very strenuous trek for the trekkers. 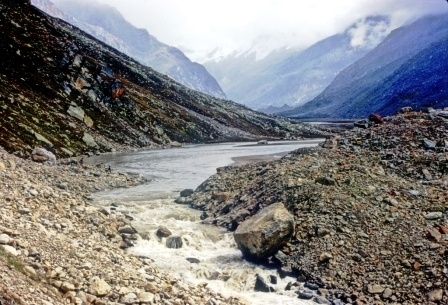 Mantalai 4200m alt is origin of Parbati river. 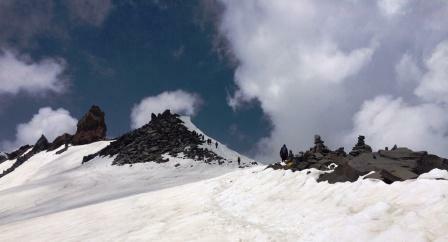 This is a tough trek undertaken by locals in September when there is less snow and landslides to negotiate. 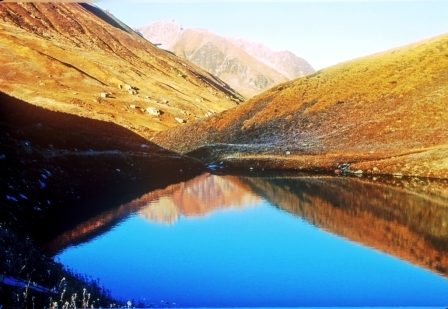 A small pond Hanskund at Tirath is revered as origin of Tirthan river and visited by the villagers and trekkers in clear summer days. Sartoo (a small glacial lake) 3900m alt is at the origin of Jiwanal. 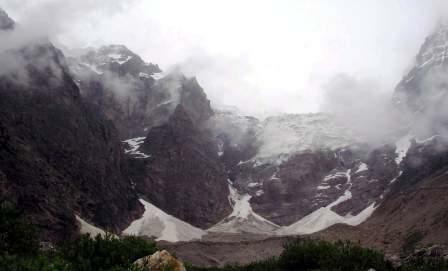 A very scenic and sacred site, it is a favorite destination of trekkers. Village melas (fairs or festivals) occur year-round. They are colorful, multiple-day celebrations where the village gods are brought together for a consultation. One can watch the human spokesperson for the god (gur) go into a trance and tell local stories, answer questions, and interact with the village community. 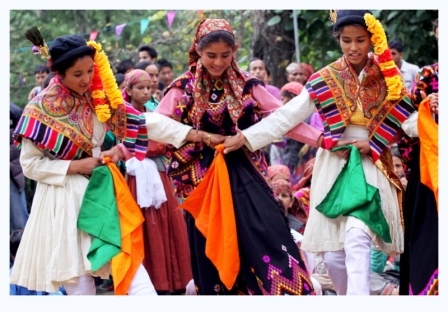 Local songs and dances are also performed and villagers dress in the best traditional costumes. Respectful observation by outsiders is welcomed. February, the four-day festival of Fagli is celebrated in the villages near edge of Park (Pekri, Nahi, Tinder, and Phredi). This is a secular, joyous festival with masked dances. There is also a one-month festival from mid-January onwards in which families visit their relatives and special food is eaten. April village fairs are held in Tinder, Bathad, and Chipni; in May at Banjar; in June at Shangarh; in August at Galiard and Mashiar, and in September at Goshaini and Nahi. They offer excellent shopping opportunities for local craft and other items. 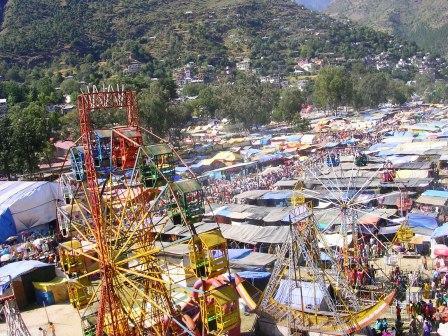 In October the Dushera Festival is a unique event when approximately three hundred villages bring their local deities (devtas) by road to camp at the fairground of the city of Kullu. This provides an opportunity for observing the variety of local deities, rituals associated with the festival and shopping for various local handicraft as well as other items of interest. It is a sheer bliss to be in the Great Himalayan National Park on the auspicious day of Buddha Purnima (denoting Buddha’s birthday in May) . 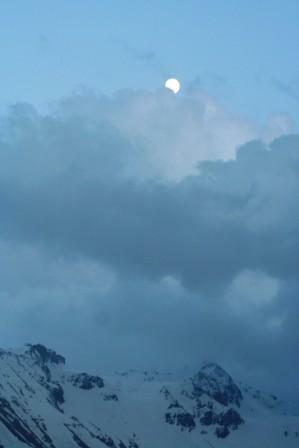 The magic of shining peaks at twilight and through the night is very captivating. Kullu Dushera is fun time for residents of Kullu Valley and tourists, usually in October. Almost all the Pachayats in Kullu Valley have their own devta and they visit the Dushera grounds in Kullu. Nati is the local dance form which is performed during celebrations (here wildlife week is being celebrated in Sai Ropa, GHNP). 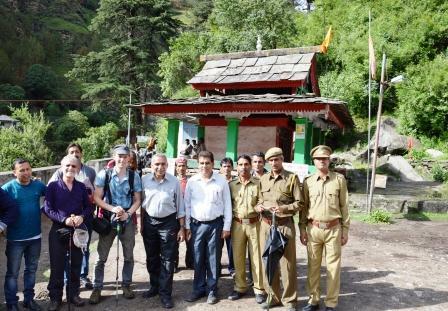 In honor of the Great Himalayan National Park becoming a World Heritage Site, the Friends of GHNP and officials paid obeisance to the Gushaini Temple and undertook a small trek in the Park.